Begin your trip in beautiful and ever-popular Cape Town where you will stay at the 5-star glorious Twelve Apostles Hotel. The Western Cape is one of South Africa’s most beautiful provinces with its capital, Cape Town, set in one of the most scenic locations in the world. With majestic Table Mountain as its backdrop, Cape Town’s natural diverse beauty, vibrant cultural life, weather, great outdoor lifestyle and beautiful beaches make it one of the top international destinations in the world. After three nights in the Mother City, you will move to the nearby Winelands to take in the gorgeous scenery and award-winning wines. Franschhoek is South Africa’s epicurean capital. Its valley, steeped in the rich tradition of winemaking exemplifies this region’s heritage as the French corner of the Cape – La crème de la crème. This globally acclaimed lifestyle destination provides the idyllic setting for the luxury hotel you will call ‘home’ for this leg of the tour. Next up on the itinerary is Johannesburg – the City of Gold – from where you will be transferred to the extravagant Fairlawns Boutique Hotel & Spa. Spend a day visiting Soweto, the Apartheid Museum, Nelson Mandela’s Family House, the Hector Pieterson Museum and other significant landmarks in this historically and culturally fascinating township. After two nights at Fairlawns, you will fly to the spectacular Sabi Sabi Bush Lodge. As Sabi Sabi is a private game reserve within the game-rich Big 5 Sabi Sand Reserve, and in a private concession within the Kruger National Park, safaris are not confined to main roads, which means that the lodge’s Field Guides are able to navigate through dense bush, following the tracks of animals. With a limited number of vehicles on the property and strict criteria governing sightings, guests are able to spend extended periods of time watching wildlife in its natural habitat. Rise at sunrise to head into the wild with your Field Guide and Tracker to discover a world usually only reserved for an episode of ‘Animal Planet’ – an environment that is as old as time, governed only by the rhythm of nature. From Cape Town International you will be privately transferred to the luxurious Twelve Apostles Hotel where you will spend the next three nights. The Twelve Apostles Hotel and Spa stands at the edge of the world. On one side, a line of majestic mountains – The Twelve Apostles – reaches towards the heavens; on the other, the sun sets on breeching whales, playful dolphins, and crashing Atlantic rollers. And all around, you can walk the wilderness trails of the Table Mountain National Park. They’ll even pack you a picnic. And yet this luxury 5-star boutique hotel is just a few minutes from worldly, cosmopolitan Cape Town. City-centre theatres and art galleries, plus the shops and restaurants of the vibrant Victoria & Alfred Waterfront are only 15 minutes away via their complimentary car transfer service – quicker still if you use their helipad. Spend the next two nights in luxury, surrounded by breathtaking scenery at La Residence, situated in the beautiful town of Franschhoek. La Residence is situated in the Franschhoek Valley on a 30-acre estate filled with vines, fruit trees, flowers and herbs. It is a romantic and indulgent paradise whose magnificent interior is filled with rich fabrics, wonderful artwork and antique furniture. Eleven individually-decorated suites enjoy vibrant colour schemes and spectacular views. Palatial en-suite bathrooms ooze glamour. On hot days, the shimmering infinity pool beckons. Sip drinks under a shady umbrella, or relax with treatments in the Spa. The air-conditioned Gym caters for the more energetic! Five minutes’ drive from the charming curio shops and galleries of Franschhoek village, the hotel provides complimentary transfers, so guests can explore at their leisure. There are excellent village restaurants to try as well as a range of activities from horse-riding to chocolate-tasting. Guests dine either in their suites or the central Terrace Room, beside a fire or the stunning double rim-flow pool. An open kitchen allows full interaction with the chef; the Sitting Room is cosy with bar and wide-screen television. You will commence on an unforgettable Winelands day tour during your stay at La Residence. Today you will fly to Johannesburg, where you will be met and privately transferred to the superior Fairlawns Boutique Hotel & Spa, your home for the next 2 nights. With close attention to detail and exceptional service, Fairlawns creates an intimate atmosphere where some of the globe’s most vibrant personalities converge. The chic, upscale suites are individually decorated in varying themes ranging from Eastern influence to French provincial, each featuring every desired modern amenity. This is your invitation to consider Fairlawns Boutique Hotel and Spa your home away from home, where exceptional service and heartfelt hospitality can be soaked up like the African sun. The hotel has 40 beautiful suites decorated with style and comfort, offering the type of accommodation that’s truly memorable. One of the best features of Fairlawns must be its amazing spa. Come and relax in the lush Balinese Gardens of The Fairlawns Spa. The spa delivers a large array of treatments in 5 lovely treatment rooms. A fascinating scheduled day tour visiting Soweto, the Apartheid Museum, Nelson Mandela’s Family House, the Hector Pieterson Museum and other significant landmarks in this historically and culturally fascinating township will have you intrigued. After a succulent breakfast at the Fairlawns Boutique Hotel you will fly by a shared chartered flight to the extraordinary Sabi Sabi Bush Lodge, where you will spend the next 3 nights. Deep in the bushveld overlooking a waterhole and an open plain, lies a lodge that pulses to the rhythm of Africa’s heartbeat. This is Bush Lodge, steeped in tradition, vibrant and warm, the Sabi Sabi of “Today”. With a history spanning over 35 years, the lodge has earned a reputation of a “luxury home in the bush”, service excellence and effortless personal attention. The conventional safari style showcases a vibrant and eclectic mix of furnishings and décor garnered from all corners of the African continent. To maintain privacy and intimacy, the lodge has 25 suites in total including 2 Luxury Villas and the Mandleve Suite. 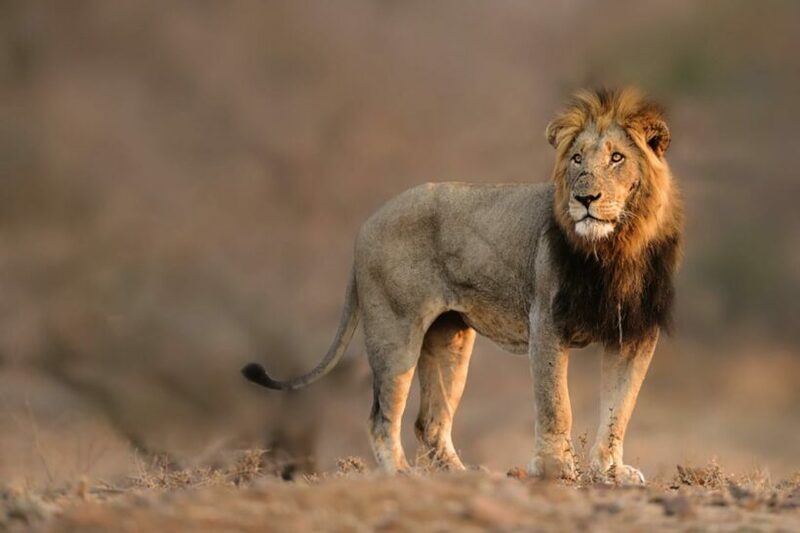 Sabi Sabi is situated within the Sabi Sands Reserve, a recognised ‘hot spot’ of biodiversity which makes for an astonishing variety of wildlife – including over 200 mammal and 300 bird species. Morning and evening safaris are enjoyed in open safari vehicles with close encounters with the Big 5 being a regular occurrence. Environmental awareness walking safaris add an extra dimension to the bush experience, allowing a close-up look at the fascinating smaller creatures of the bushveld. While maintaining a deep respect and bond with the wilderness, the award-winning Bush Lodge has rightfully taken its place as one of the world’s premier safari destinations. All good things must come to an end, but not without unforgettable memories made for a lifetime. After a succulent breakfast, you will board a shared chartered flight back to Johannesburg, from where you will start your journey back home and start planning your next African Safari!